Mondays are the only days that I have some sort of a self imposed routine. Change the sheets, water the plants, quick vacuum, straighten up. Actually, after writing that sentence, I suddenly realized that Mondays are not really the only days I have a sort of routine. Humph, wait a minute, isn’t my whole life routine? That’s how the dictionary describes the word routine. Hey, now that I am thinking about it, I do do the same things at the same time every day. · Take my medication (nothing serious) put the kettle on. · Check to see if I have any Words with Friends moves to make. · Play my 5 lives worth of Candy Crush. 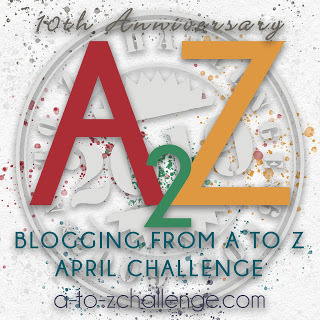 · Read some of my favorite blogs. · Get on the treadmill for 30-40 minutes and listen to my book. After my “workout” things kind of loosen up a bit. 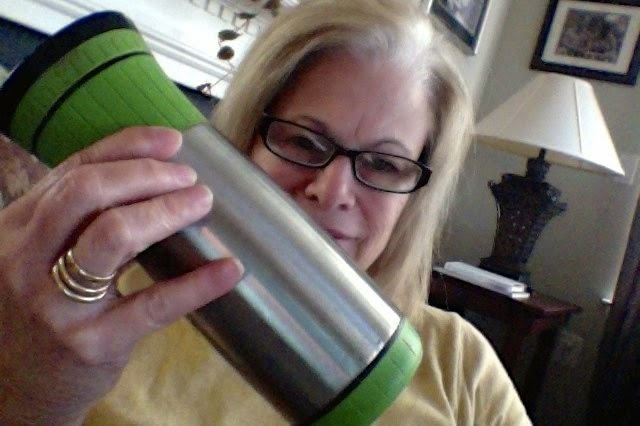 By loosen up I mean that after I have adhered to the “strict” standards of my morning, there remain things that I absolutely do every day. But, I don’t necessarily do them in the same order or at the same time. I know, I’m such a rebel that way. So, today, I strayed a little from my conventional morning. It’s 9:11 a.m. Ordinarily, I would have been one quarter of the way through my tread/listening. I wonder what effect this untraditional start of the day might have on the rest of my “Monday, but now I realize it’s actually my everyday”, regular, unvarying, habitual, unimaginative, or rote procedure routine. As you might have guessed from the title of this post, I referred to Thesaurus.com to look up the word “routine”. I could score big on WWF with that one! I’m angrily getting over a miserable cold. I’m angry because I think I know where I picked up the nasty, germy bug. It most assuredly happened the last time I was there. As I was bending down to tie my shoe, I heard it. It was a wretched sound. My head shot up. I had to know where that awful noise was coming from. And there she was, sitting all alone, down in the pit of the very lanes that I would be bowling on, practically right in front of me. It was not a polite, “I’ve got a little tickle in my throat” cough, cough. It wasn’t a watery eyes, sneezy, “The goldenrod is terrible this year, isn’t it?” allergy, cough, cough. In fact, I can’t even classify it as a cough. The woman was hacking. She was deep down gurgling, whole body shaking, hacking. And I? I was terrified. I pointed her out to my team mate. “Do you hear her?” I asked. “What is she doing here?” I wanted to know. Okay, so there is this ritual at bowling. I don’t know if it is a standard world wide practice. But in our league, whenever a bowler makes a spare or a strike, she gives a hand tap, high five to members of her team and also to the bowlers on the opposing team. Apparently, it’s a way to graciously pass on good luck to the other bowlers. I told my teammate Diane that I most certainly would not be touching anyone’s hand that day. And I didn’t. Well, except for that one time. I got caught up in my own excitement. The excitement of making a turkey. Three strikes in a row. It does’t happen very often for me. So, as I walked back through the roaring, cheering crowd, after my third strike in a row, my turkey strike, how could I deny the others a hand tap, high five? Two days later, there I was. A coughing, sneezing, sniffling, sore throat, achey NyQuil ad. So, again I ask the question. Why was that woman out in public? Why was she not home in bed? To go along with this news, there is a cautionary tale to tell. When Lou (the guy who came out to give us an estimate) told us what the square footage measurements were, we immediately realized that they did not match up with the measurements from the last time we had the floor installed. In a phone conversation, Ross brought this to the attention of Dominic, the owner of the flooring business who would be doing the job. Dominic off handily chalked it up the necessity of having to add in a 10% waste factor. Ross, who taught Math for 30+ years, knew that a 10% waste factor could not possibly add up to needing an extra 200 more square feet. He had a strong suspicion that Lou made an arithmetic calculation error. I think that Ross is probably the best arbitrator and negotiator in the world. No, really he is. He asked Dominic if he would personally come out to do another measurement. “It would put my mind at ease,” he said. How could Dom say no? He couldn’t. He didn’t. What is it that they say? Measure twice. Cut once. As it turned out, after Dom did the second measurement, the square footage was 200 square feet less than what Lou came up with. That translated into $1800. We went into the store the next day. Lou was there. He apologized. He showed us where he made the mistake. When he measured the hallway leading into the bedroom he forgot a decimal point. Instead of 24.5 square feet, he wrote down 245 square feet. Lucky you, those of you who have been living under a rock. Your quiet domicile has protected you from the barrage of pings emitted from the electro universe. You are peacefully unaware of Ebola hysteria, Isis madness, and the child predator, Enterovirus D68, just to name a few. I’m seriously considering finding my own rock. Or, perhaps John Denver’s Rocky Mountain high would provide a nice respite. In other news from my own little corner of the “world is going to hell in a hand basket”, I’ve fallen behind in my “Beginning Writer’s Workshop”. I have no excuse, but laziness. Today, I woke up so darn early. 5:00 this morning. I tried to force myself to stay in bed, close my eyes and go back to sleep. Couldn’t do it. It’s a Tuesday thing. I have bowling in the morning and bereavement group in the afternoon. Maybe I should go Under a Rock house hunting instead. 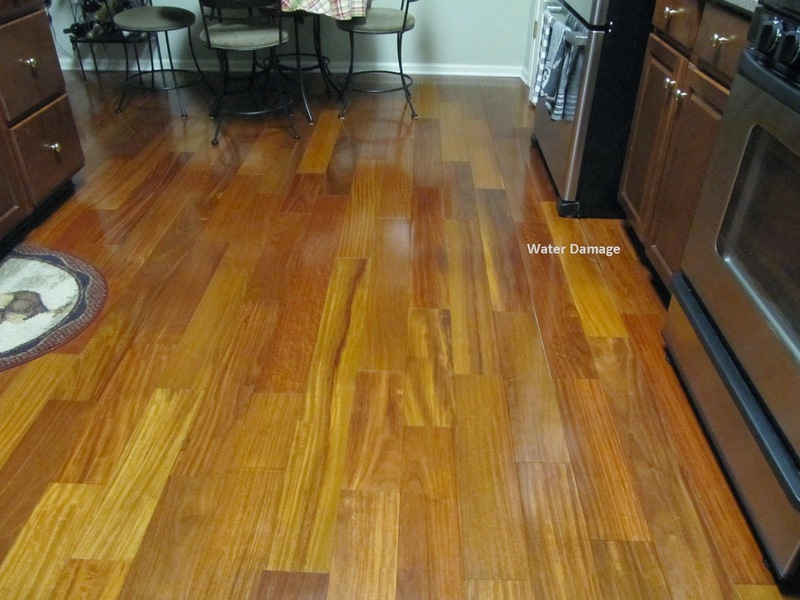 A few months ago our refrigerator leaked and puddled onto our beautiful Brazilian cherry hardwood kitchen floor. We had the floor installed throughout the house about six years ago. At the time of the install, the floor people suggested that we buy an extra box of wood, just in case we needed a repair. The leak has caused the boards around the fridge to buckle and blacken. Last week, we called Dennis. He owns the store that we bought the floor from. He sent Louie over to assess the damage. I thought they would be able to rip out the problem and replace the bad boards with the spares we have in the garage. Louie came in, looked and shook his head. Not the smiley “everything is going to be all right” up and down shake. Rather, it was the foreboding “tsk, tsk, we’ve done all we can, there is no cure” side to side shake. Our house has that open floor plan. So the living room flows into the kitchen which flows into the dining room which flows back into the living room, which flows into the foyer and down the hallway. “Then we install molding at the living room and dining room entrances where the old floor meets the new floor,” he said. “Of course, that is if we can even get that same wood,” he said. “And even if they still manufacture that same exact floor, the dye lot probably won’t match, “ he added. I shook my head up and down. Not the “I’m so glad you’re telling me this” shake. Rather, it was the “numb, I’m putting my fingers in my ears and saying la, la, la, I can’t hear you” shake. An Under a Rock house probably doesn’t have Brazilian cherry hardwood floors or leaky refrigerators, for that matter. 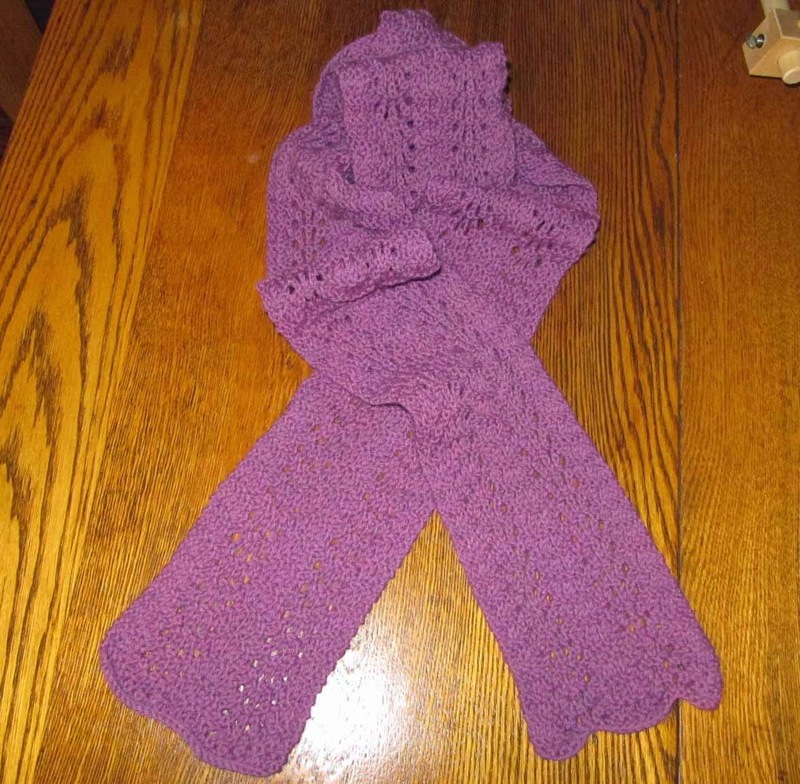 The pattern is a free Ravelry download by Rae Blackledge. It can be found here.